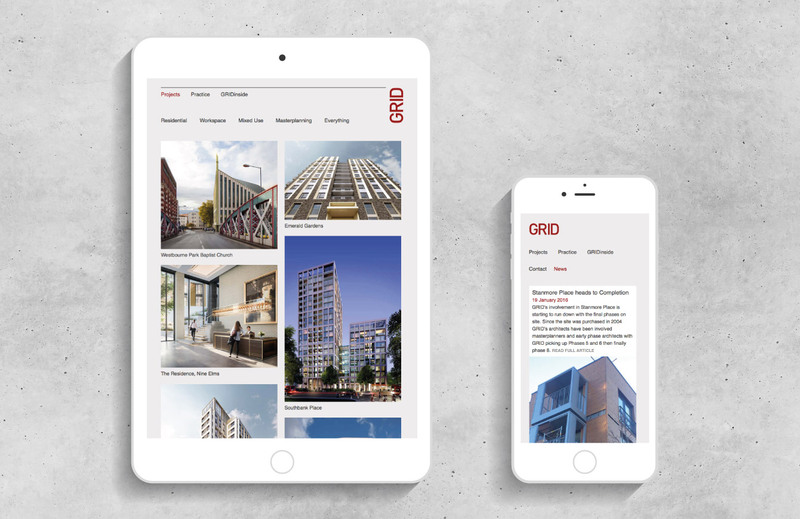 As a leading AJ100 architecture and interior design practice, GRID required a website which would better showcase their impressive portfolio of projects. Naked Creativity were appointed to design and develop the new website following a competitive tender for the project. One of the major shortcomings of the old Wordpress-powered website was the inflexible nature of the content that could be accommodated. This was particularly an issue within the project case studies where images could be a variety of aspect ratios. We sought to solve this through a scrolling page of project images. There is no prescribed aspect ratio and complex arrangements of visuals can be achieved, thereby presenting each project with much more clarity than was previously possible. The website is fully responsive, adapting to smaller or larger screen sizes. 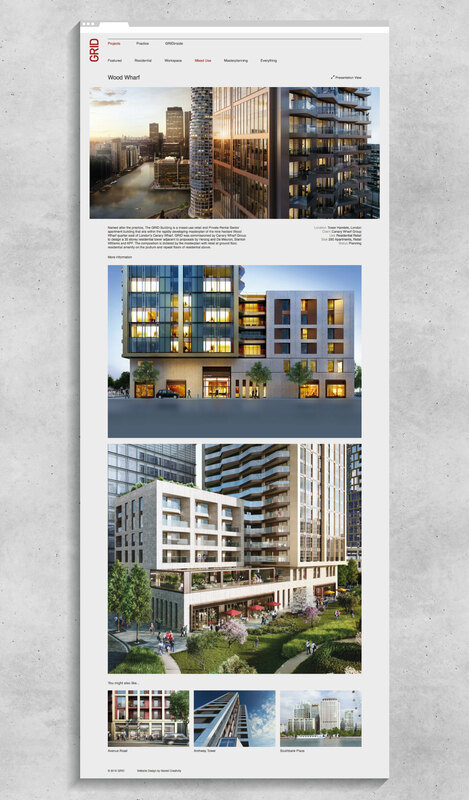 Particular care was given to how the homepage and banner images resize on both small and large screens to ensure that the context of the architecture is retained. Whilst the portfolio is probably the most extensive area of the website, there is a growing archive of news items. This section was designed to work for both quick updates, as well as longer stories, all of which are contained in a continuously scrolling page. This removes the requirement to make each news story hugely significant, as they are never viewed in isolation, speeding up content authoring and promoting ongoing website updates. 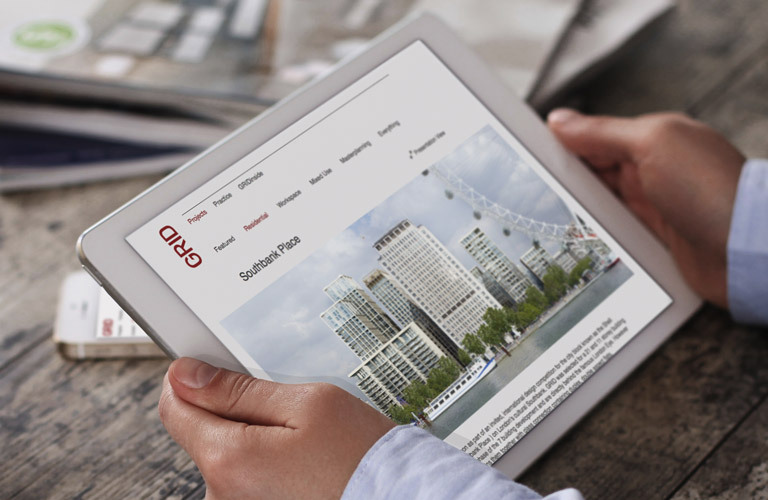 GRID are using the new website to promote the launch of their dedicated interiors division, GRID Inside, as well as to support marketing and project pitches for several projects outside of their core London market.